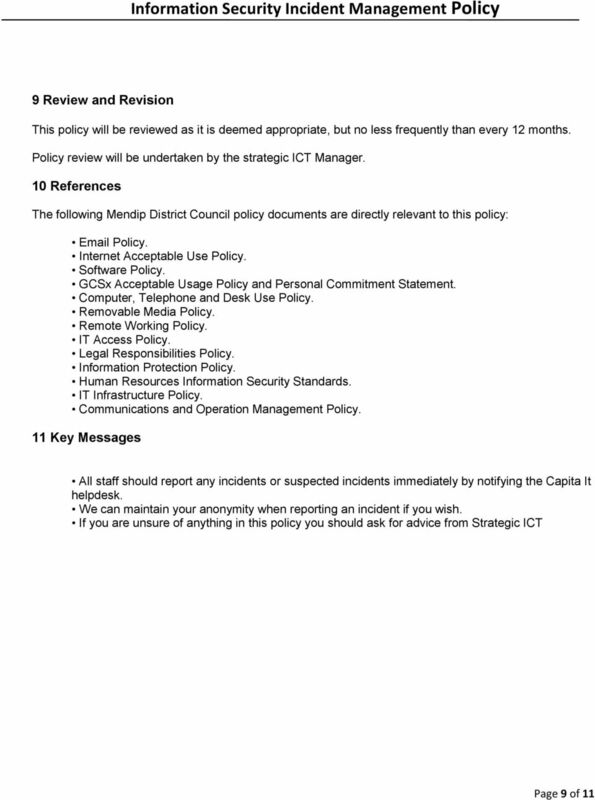 Download "Information Security Incident Management Policy. 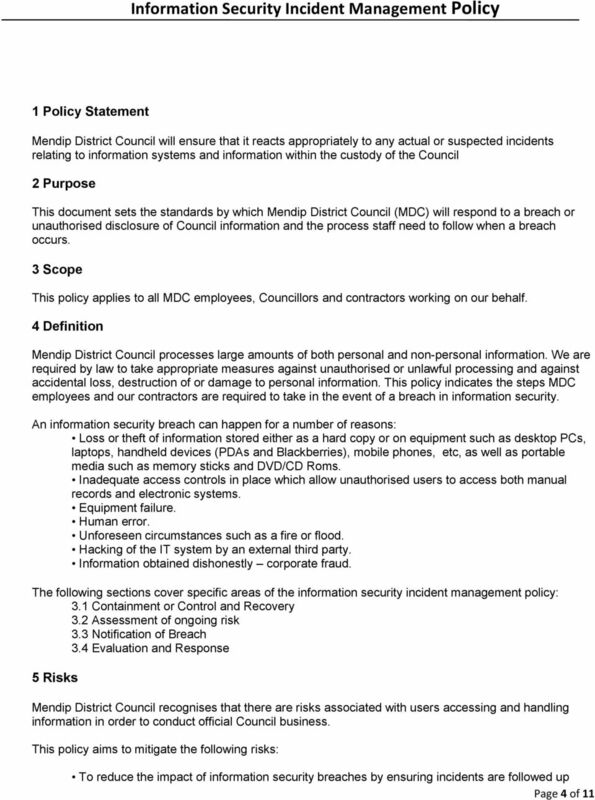 Information Security Incident Management Policy. Policy and Guidance. 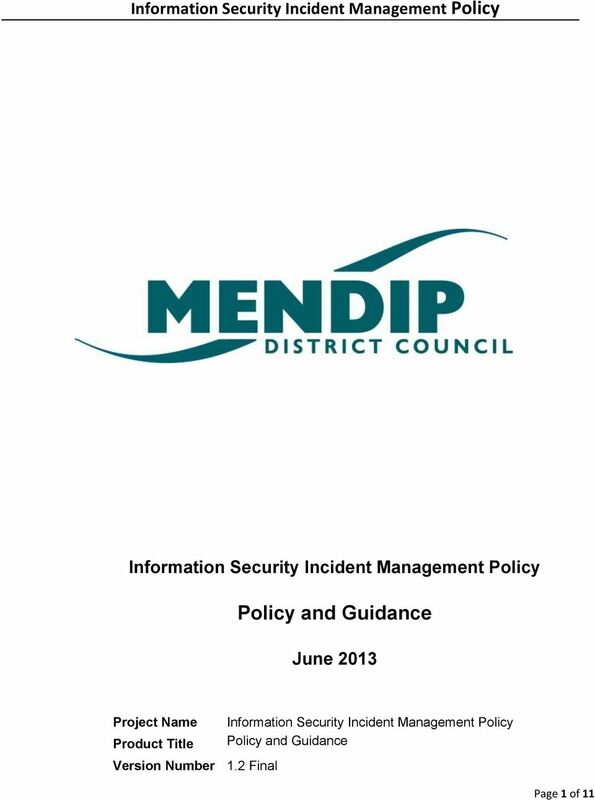 June 2013"
Quick Guide To Information Governance Policies Data Protection The Data Protection Act 1998 established principles and rights in relation to the collection, use and storage of personal information by organisations. 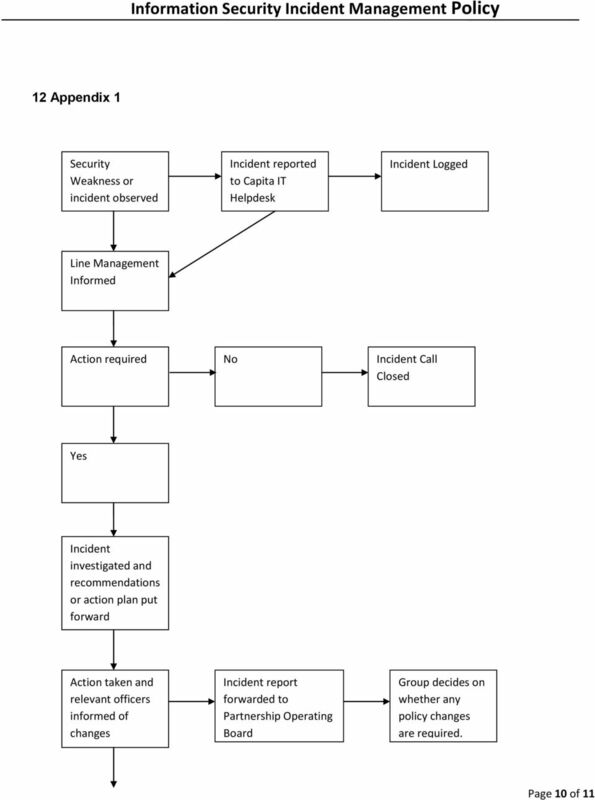 SECURITY INCIDENT REPORTING AND MANAGEMENT Standard Operating Procedures Notice: This document has been made available through the Police Service of Scotland Freedom of Information Publication Scheme. The best advice before you decide on what action to take is to seek the advice of one of the specialist Whistleblowing teams. 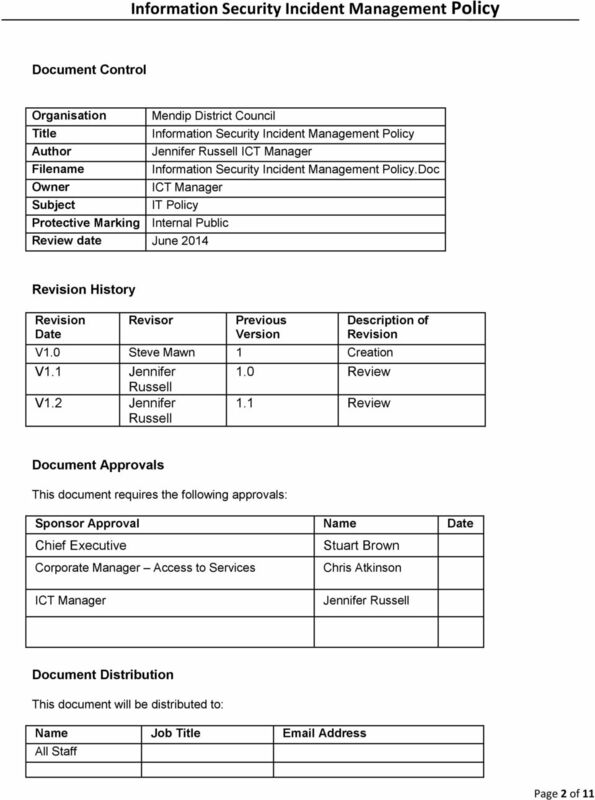 The Ministry of Information & Communication Technology MICT Document Reference: ISGSN2012-10-01-Ver 1.0 Published Date: March 2014 1 P a g e Table of Contents Table of Contents... 2 Definitions... 3 1. Once more unto the breach... 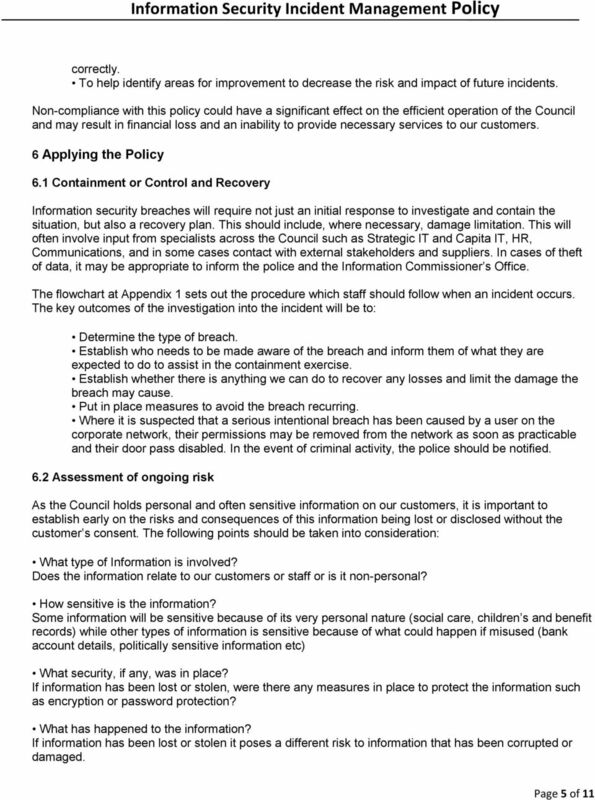 Dealing with Personal Data Security Breaches Helen Williamson Information Governance Officer Aims of the session What are we going to look at? 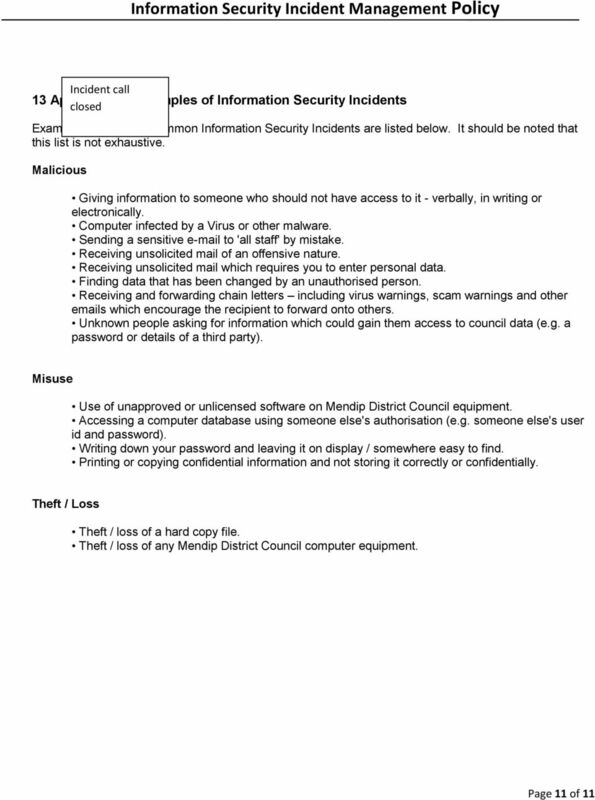 What is a data security breach?